With 60 percent of B2C marketers planning to increase their content marketing spend over their previous year’s budget, now is the time to start thinking seriously about how data impacts your content marketing strategy. There’s been a lot of talk about the role data plays in content marketing; however, much of this has been relatively limited to disciplines like keyword research and influencer identification. Let’s take a look at how to put data truly at the heart of your content marketing strategy, allowing you to implement real change this year. What data should we be studying? 1. Your website content: At the heart of any content marketing strategy sits the editorial calendar, and this document should be driving the data that you choose to study. Everything in that editorial calendar should be subject to data interrogation — from types of content to blog titles, publication days/times, content categorization, authors, and more. If you already have a calendar, then you have a great starting point for analyzing what data tells you about your content marketing strategy. If you don’t, the analysis process remains the same, though you may have less structured data with which to work. Are you part of a larger enterprise? You may be lucky enough to have a data analyst or team of developers in-house. If so, request that they extract your blog’s content data in a structured way — ideally as a table showing each published post and its key info, along with your chosen key performance indicators (KPIs), such as site visits (e.g., from Google Analytics), engagement (social shares), and conversions (also from Google Analytics). Having this data correctly formatted and ready can allow you to create valuable insight at the next step. 2. Your competitors’ content: The great thing about analyzing your content like this is that you can also study your competitors in exactly the same way. Admittedly, this may take a little more manual effort, as you won’t be able to export their proprietary data; but going through their content to dissect the readily apparent components of their strategies can provide some really valuable insights. By understanding what types of content your competitors create as part of their content marketing strategy — and how your performance measures up — you will be better able to identify opportunities to meet unmet needs, determine new topic areas to focus on, and generate other new content ideas. 3. Guest posts and external content: Like studying your competitors, tracking the content you publish on platforms other than your own website can require considerable effort on the part of your team. But, again, these efforts will be well worth your while. Track exactly the same metrics as above in terms of post engagement/interactions, author, publishing times/dates, site visits (if the external content provider will share data), etc. 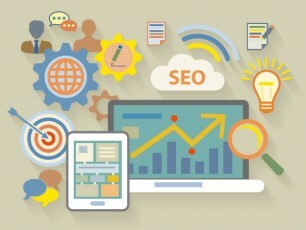 If you’re also focusing on the SEO benefit of your content, it may be worth tracking additional metrics as well, including page rank, domain authority, and trust flow and citation flow of the domain (Majestic is among the many tools you can use to find this information). 4. Social media content: Social data is hugely powerful for driving your content marketing strategy, as it can help you make a wide range of decisions, from what to create content about to the weighting of that content within your overall plan. For example, you can pull key metrics from Facebook Insights on performance by post type, as well as see best performing posts, post reach, and engagement rates — all of which will help you understand how your content is being received. Beyond performance analytics, social data can also reveal important insights about your audience. For example, using audience profiling tools like Optimal Social or Kred can help you gain a greater understanding of other kinds of content your readers are engaging with — rich data that can help you create new content topics and ideas with a high potential to interest your audience. Once you’ve gathered all of your data, you can compile it into a report (like the example below), which provides a snapshot of information you can use to inform your content marketing strategy. The wealth of data you now have at your disposal can radically change the way you run your content marketing efforts. Use this data to refine key components of your strategy that could use a boost in performance, or even to completely revise your documented strategy if your results show that you may be moving in the wrong direction. Post more content on days like Monday and Friday — when engagement has typically been higher. Get “Jenna” to write more content, or use her style to guide the efforts of your other content creators. Increase your creation of technology-related blog posts. Reduce Facebook status updates in favor of more photo posts. Consider creating more content on e-commerce, as this seems to be a topic that brings in higher than average interactions, with less competition. This is a fairly simplified example, but even from data such as this you can start to draw out some insights that may make all of the difference in generating engagement from your content. By constantly using data and adopting a data-led culture, you may be able to make a significant change for the better in your content marketing efforts. By scrutinizing every element of your content strategy and editorial calendar with data, you can create a robust plan that everyone can believe in. What’s more, by continuing to analyze your performance over time, you can constantly improve — drawing in more traffic, more engagements, and more conversions and customers. Taking a data-led approach to your content marketing not only gives you a stronger strategy, but also allows you to identify new opportunities from your competitors’ activity, and your audiences’ preferences. Want to get ahead? Now may be the time to think about investing in that content marketing data analyst you always wanted. Want more insight on how your metrics data should be used to inform your content marketing strategy? Sign up for a free trial of our new Content Marketing Institute Online Training and Certification program. Access over 35 courses, created by experts from Google, Mashable, SAP, and more.